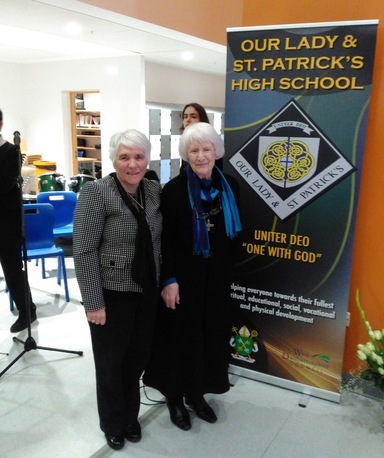 Sister Maureen and Sister Maire were warmly welcomed in the impressive and spacious new building provided for Our Lady and St Patrick's High School in Dumbarton. 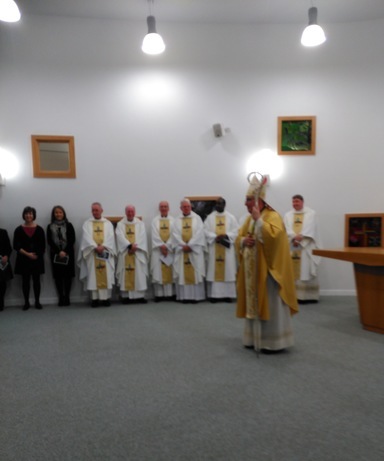 We were invited to the Mass concelebrated by Archbishop Tartaglia and the priests from the Deanery. 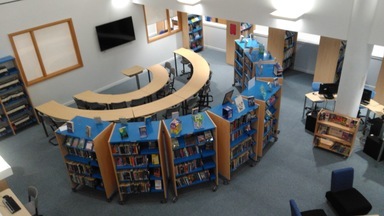 The pupils' orchestra and singers provided the music and the sound was enhanced by the roof-high Atrium. 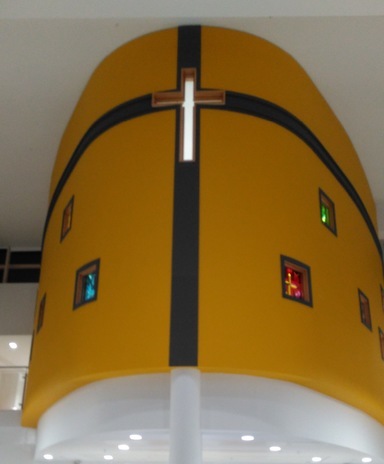 Dominating this central core of the building is the curved wall of the Oratory decorated with a large stained glass cross and small square windows created by pupils from the Art department. 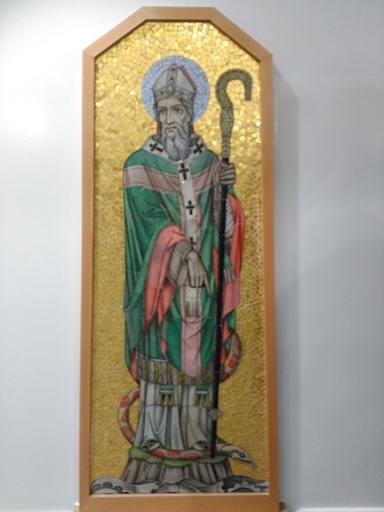 After Mass the Oratory including large mosaics of Our Lady and St. Patrick brought from the old school was blessed by the Archbishop : it provides a tranquil and quiet space in a busy open plan building. 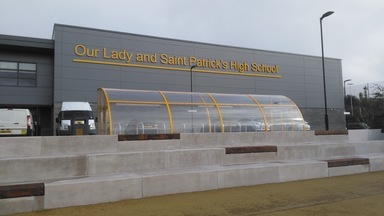 The Archbishop acknowledged the excellent traditions of education and immense contribution to the life of the diocese of Notre Dame and St Patrick's High Schools in the past and urged the school community to build on that as they look to the future. 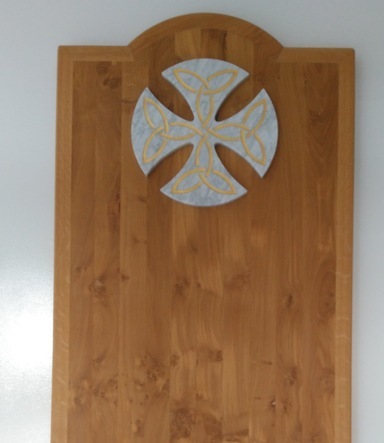 The Head, Chris Smith is already involved with the Notre Dame schools and he is very keen to forge closer links with the Sisters of Notre Dame. 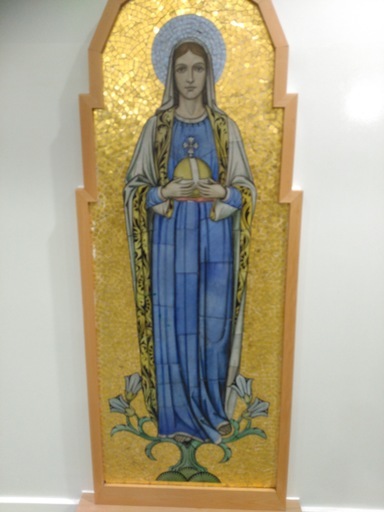 He was delighted to be offered a statue of St Julie and intends to ensure that the long heritage is honoured. 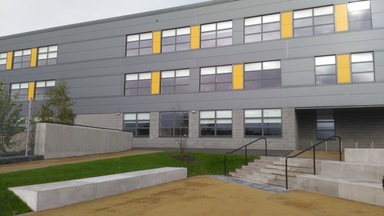 Both at this first Mass in the new school, as in the closing Mass which Maire attended in the old school in October, we are surrounded by former staff and pupils who are keeping the spirit alive and taking a lead in their local community. 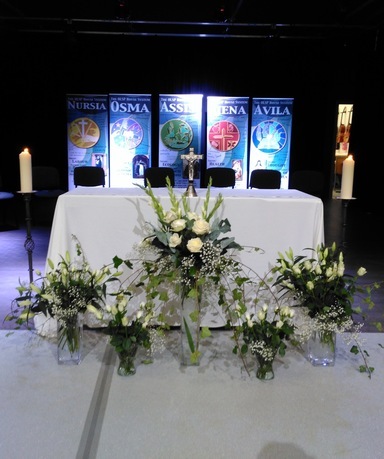 The Convener of the Education Committee in West Dunbartonshire who was a guest at the Mass is just one of our former pupils who was delighted to greet us.